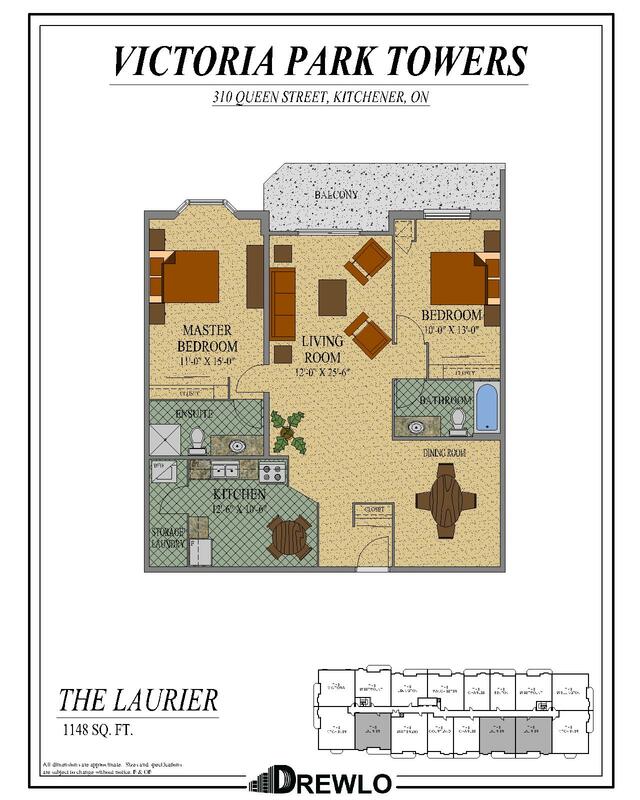 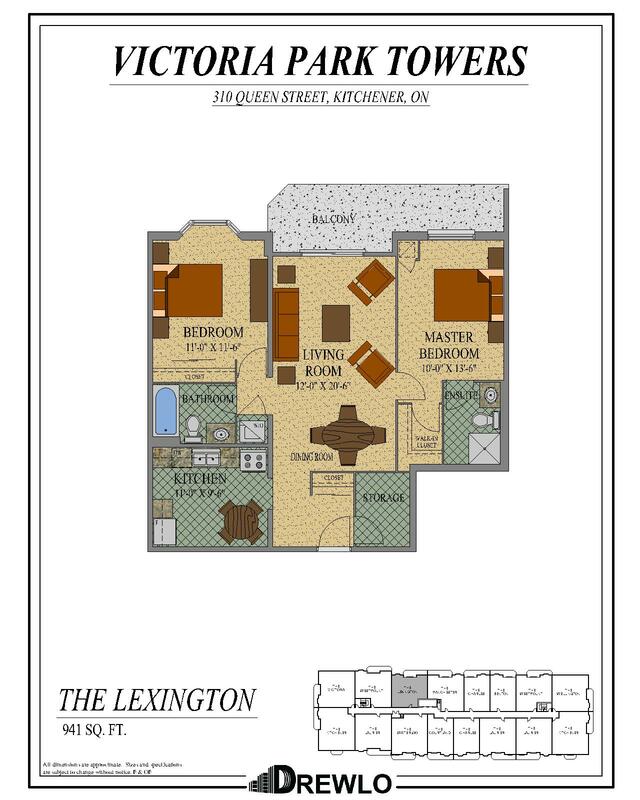 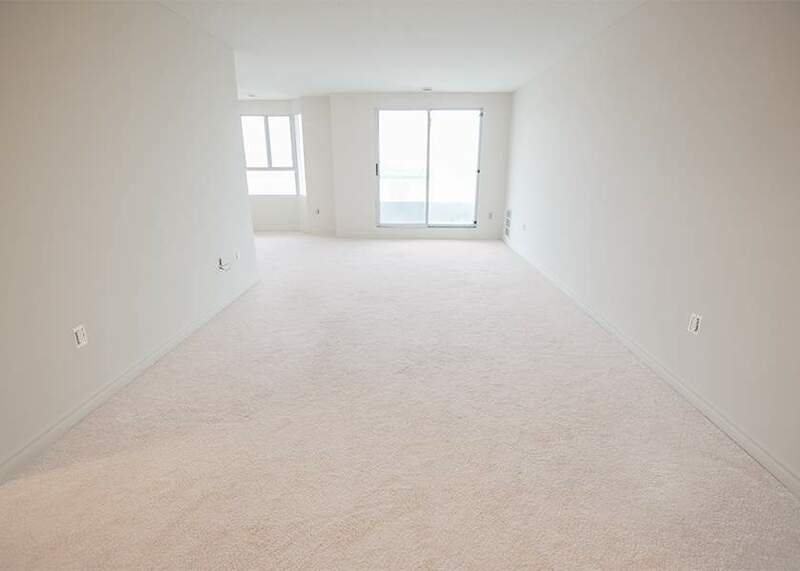 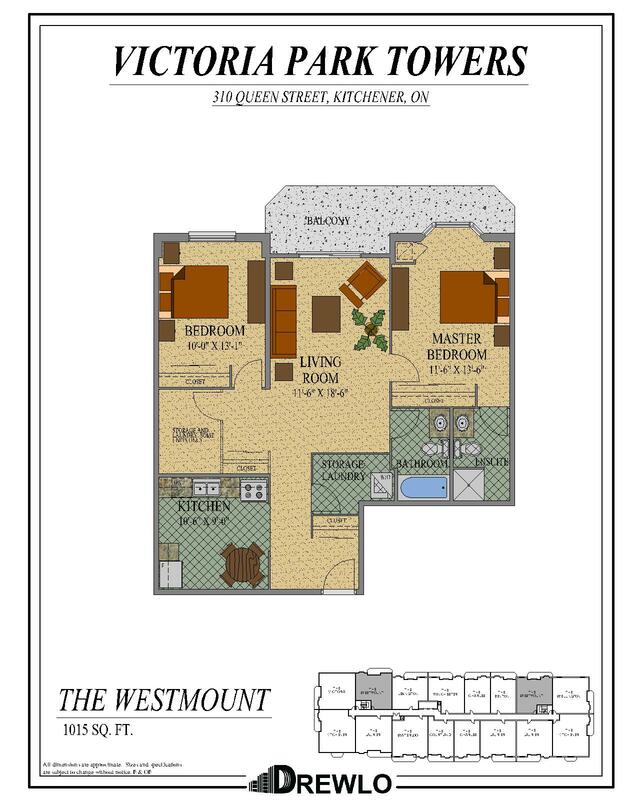 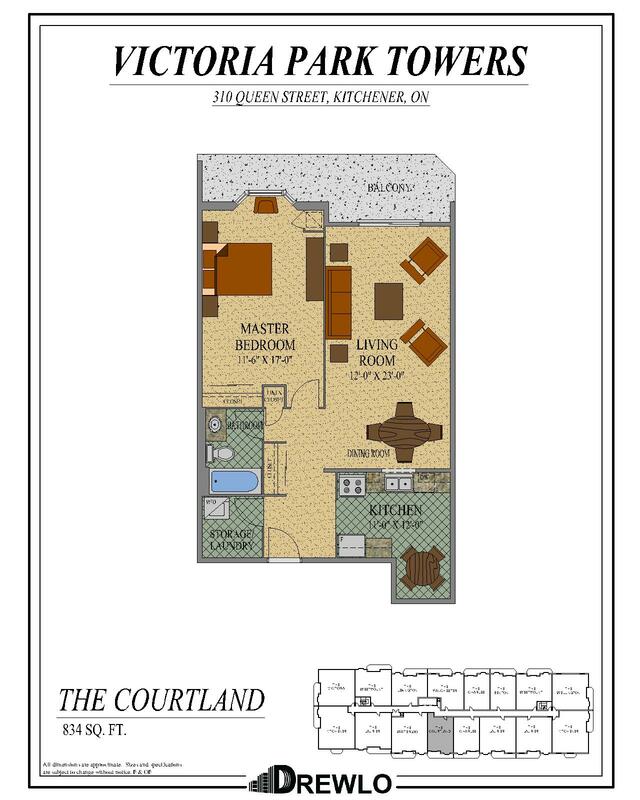 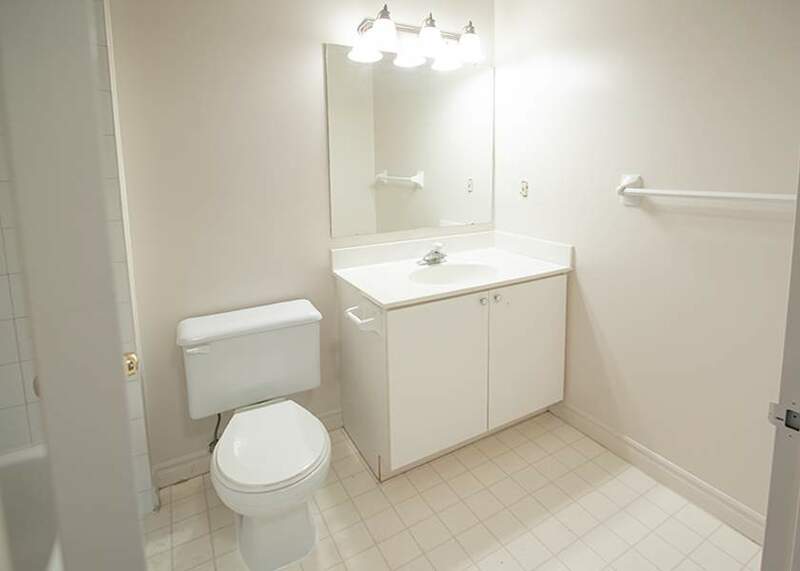 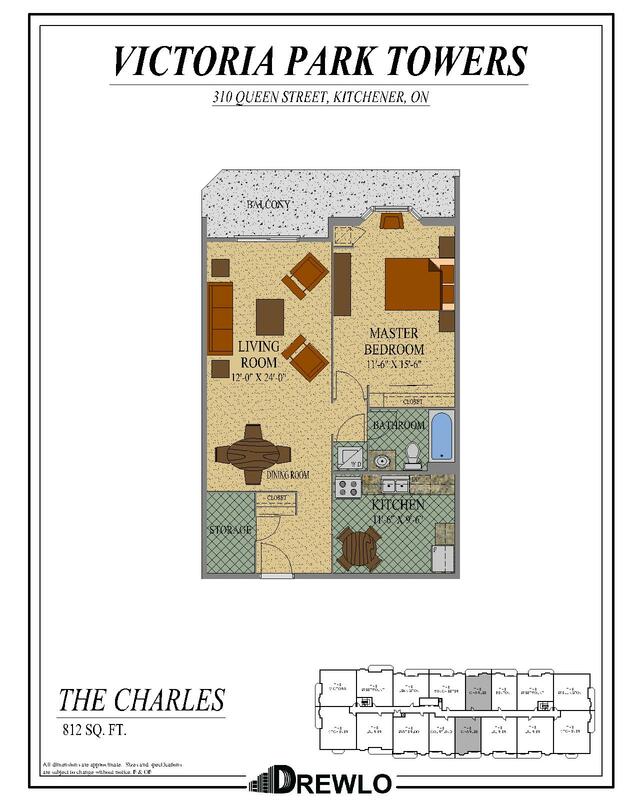 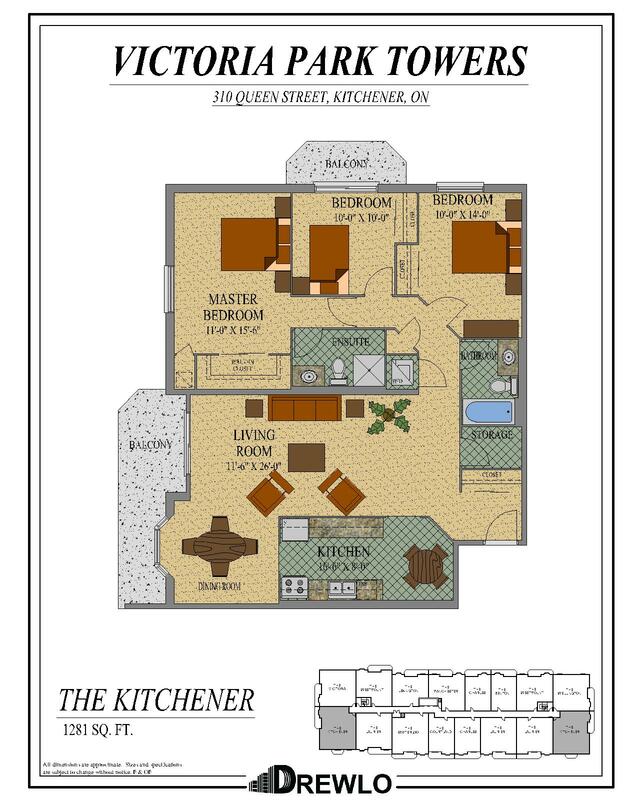 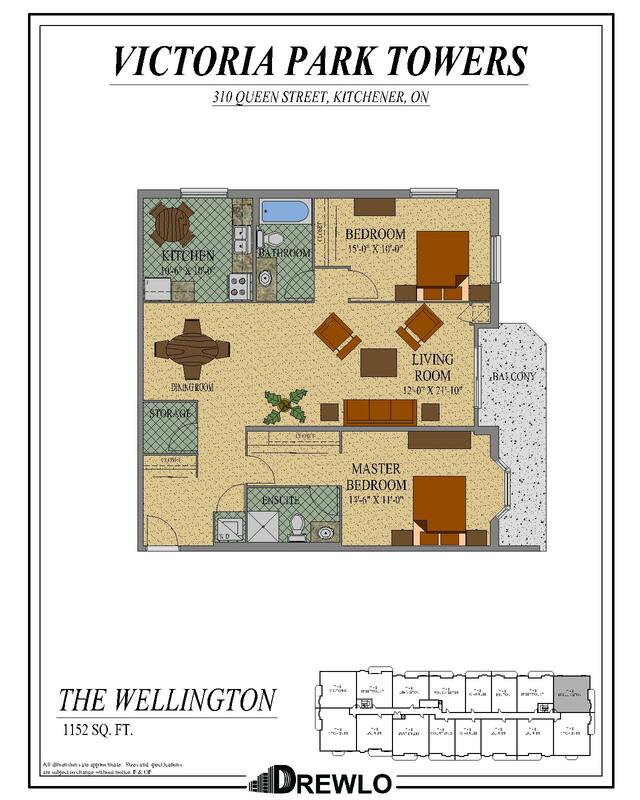 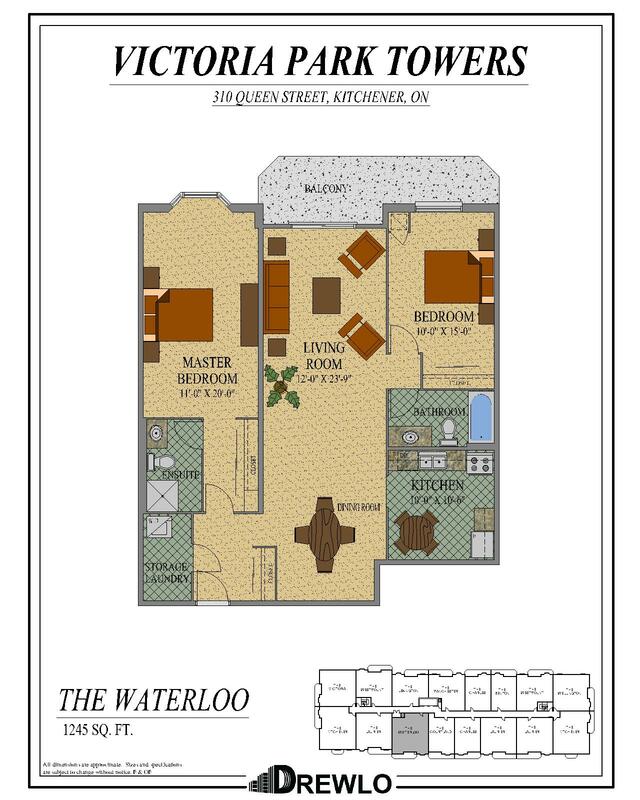 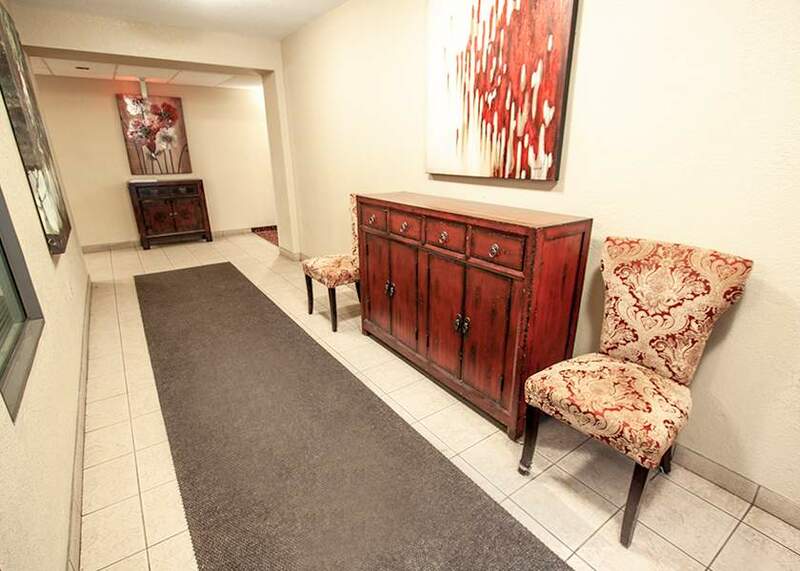 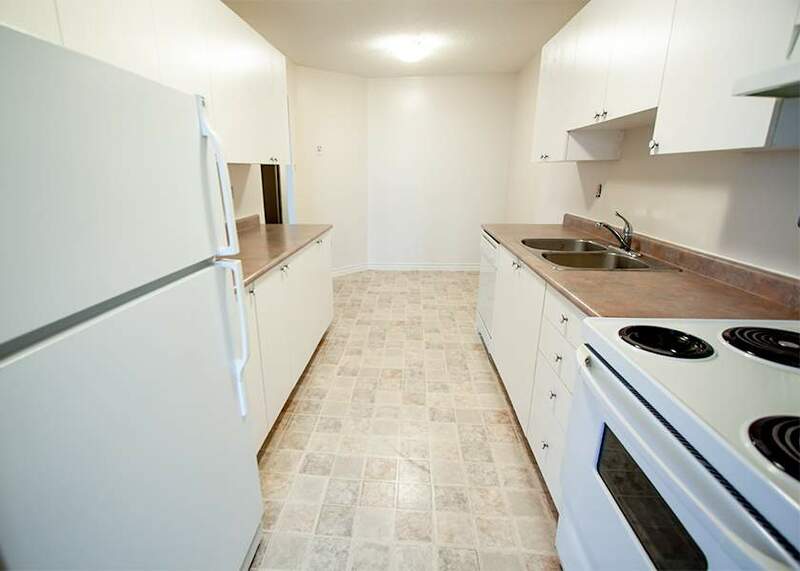 Enjoy the conveniences of downtown in this 1, 2 & 3 Bedroom Apartment in Kitchener. 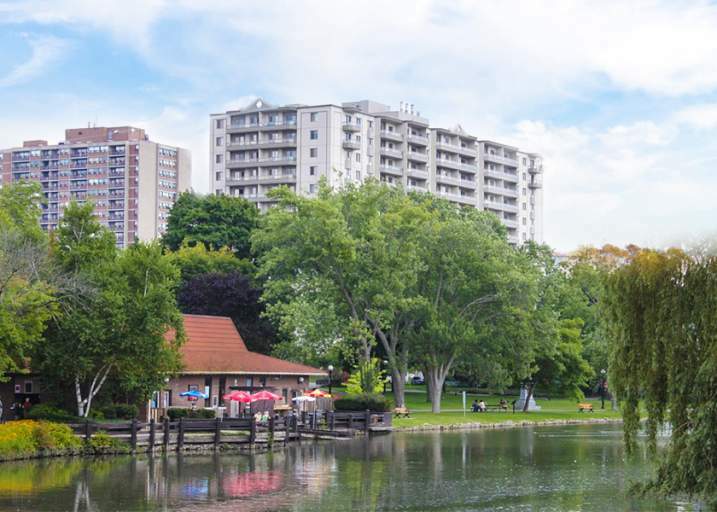 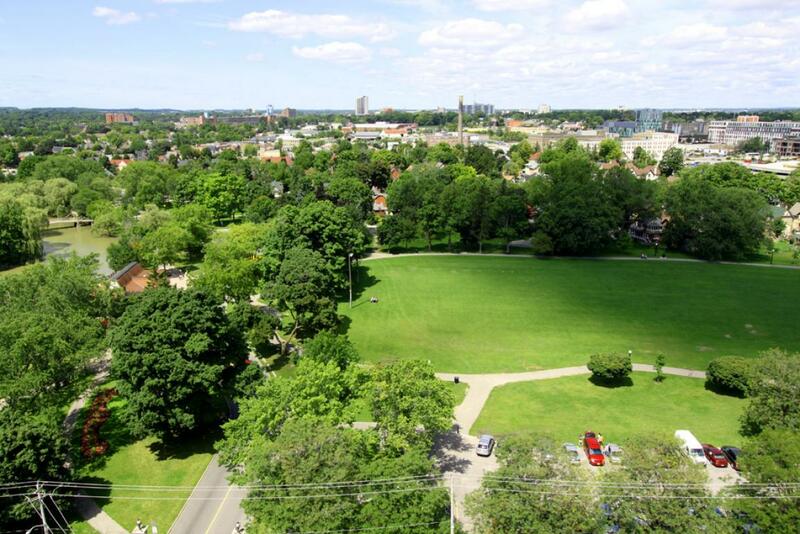 Be within walking distance to the serenity of Victoria Park at Victoria Park Towers. 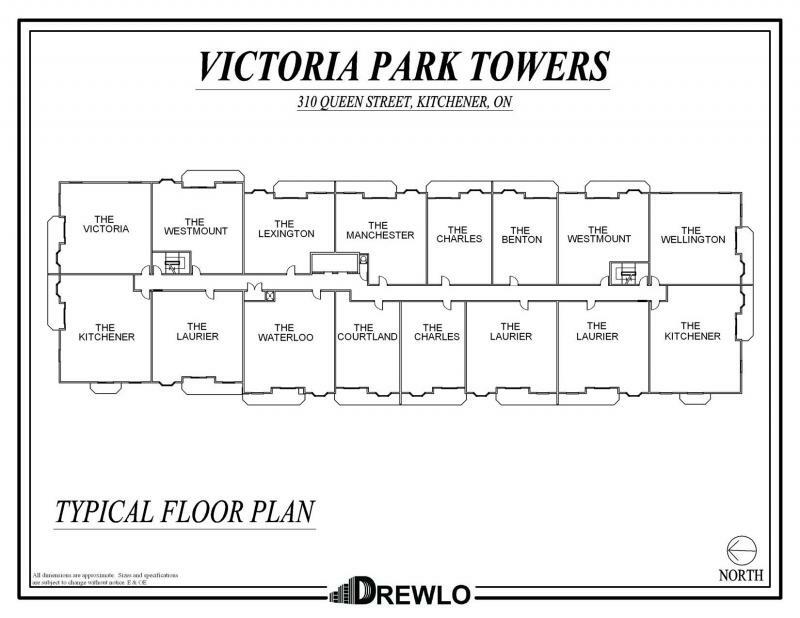 Just steps from public transit, cafes, restaurants and retail, this Drewlo Holdings tower is perfect for anyone who works or enjoys downtown Kitchener, Ontario. 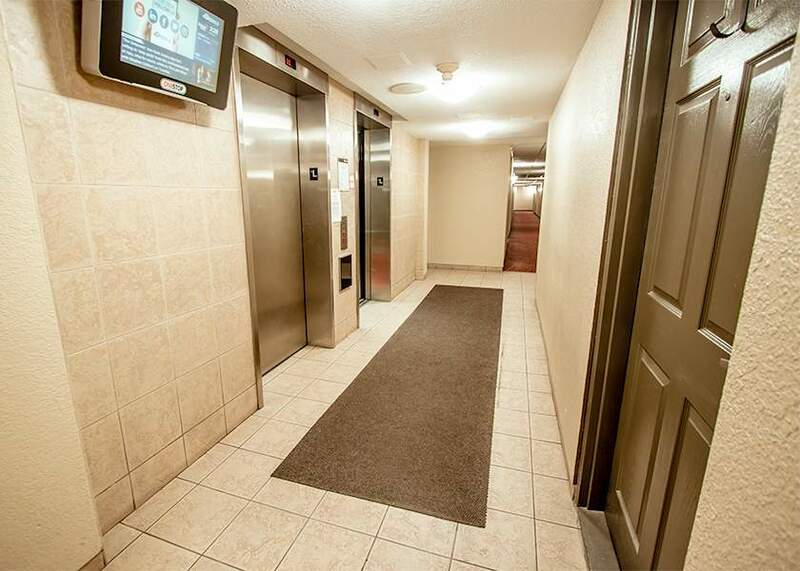 Experience the amazing views from our large balconies. 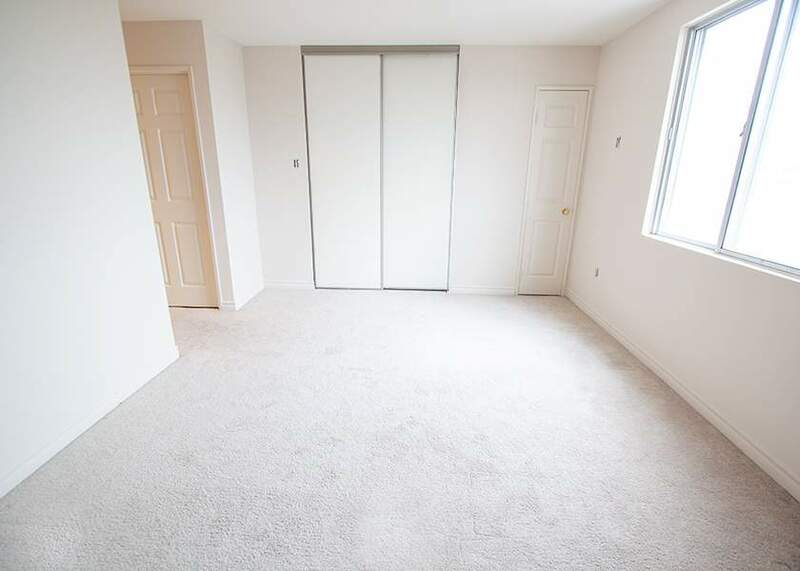 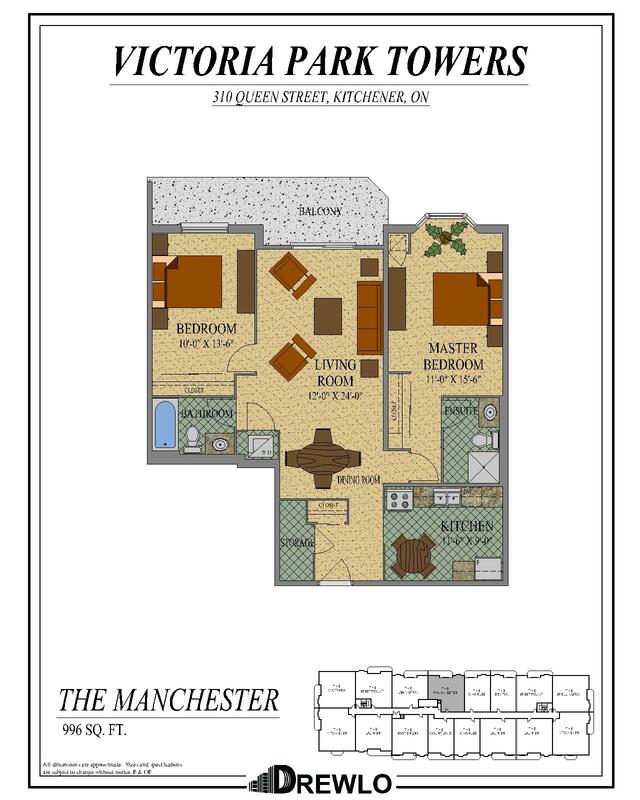 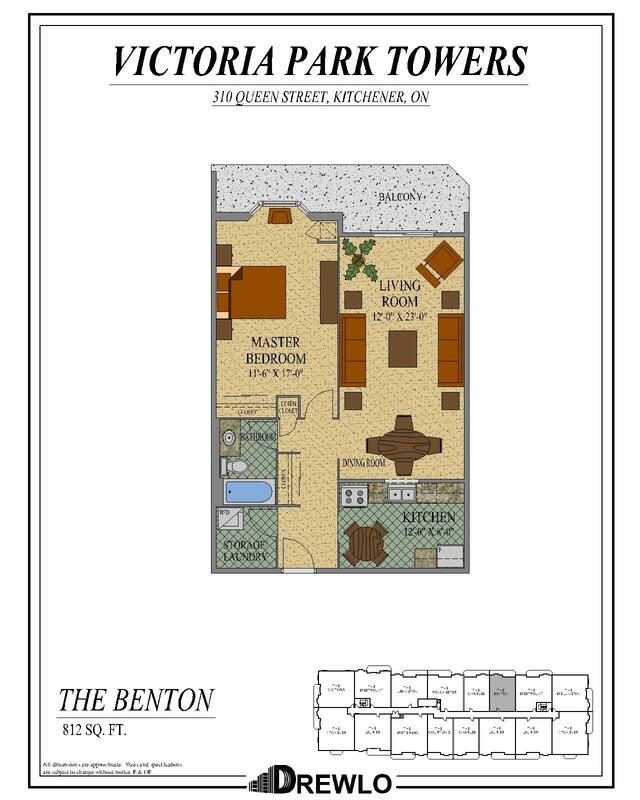 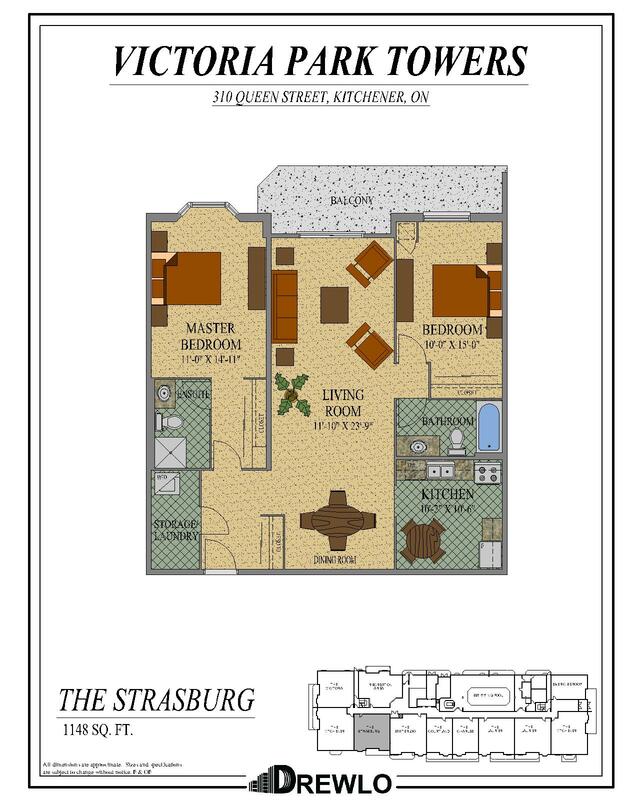 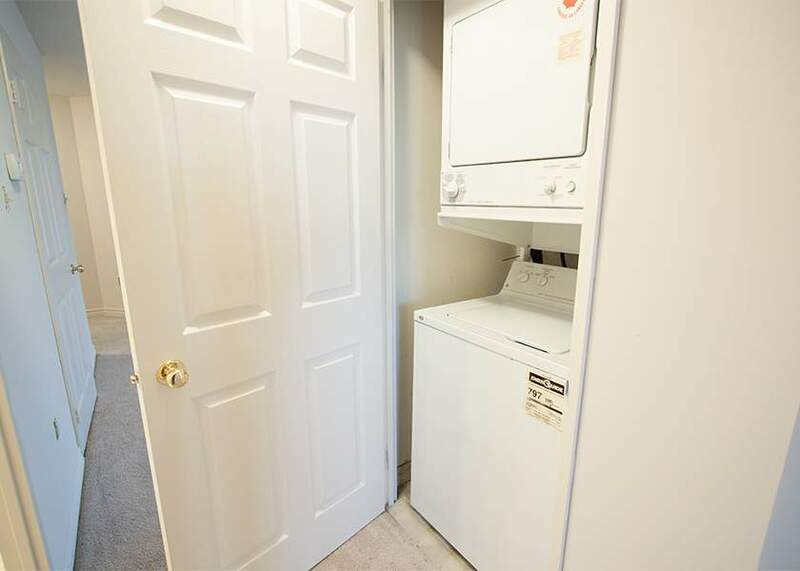 Inside, you'll find walk-in closets, in-suite laundry, air conditioning and so much more. 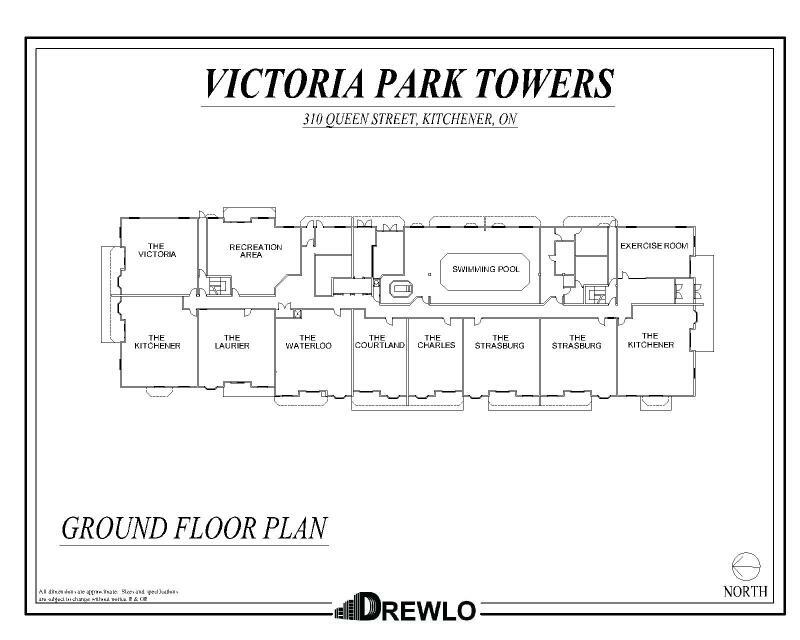 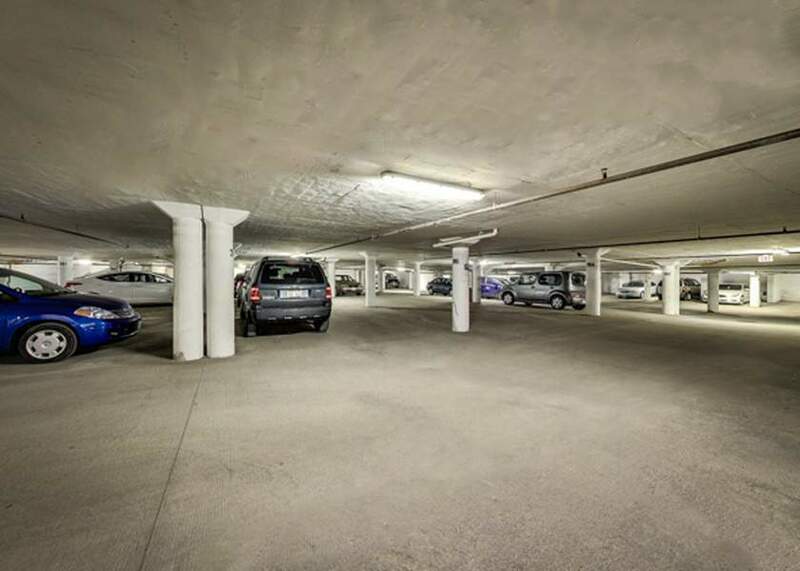 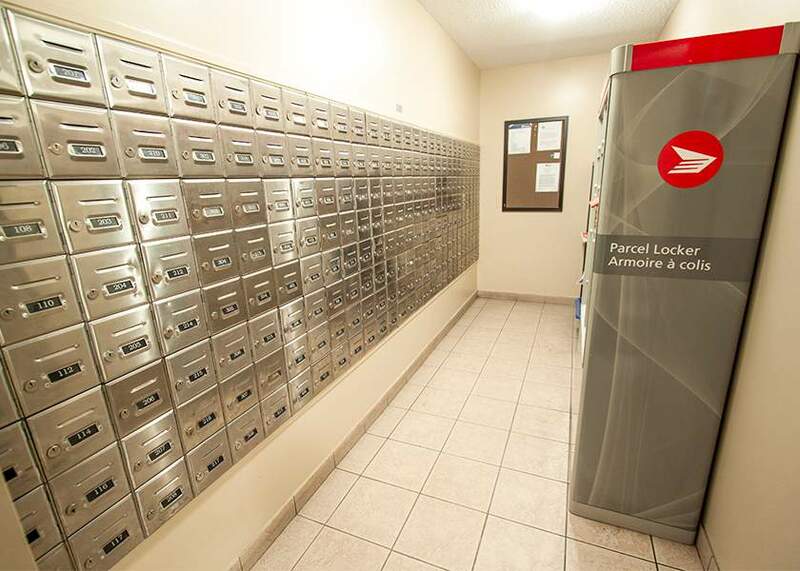 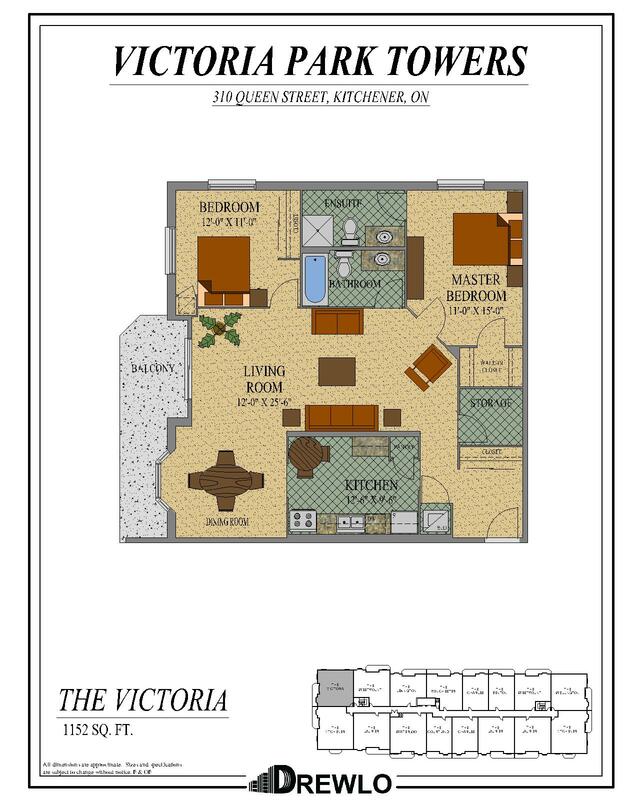 Victoria Park Towers features conveniences like underground parking, video surveillance, and secured entrances. 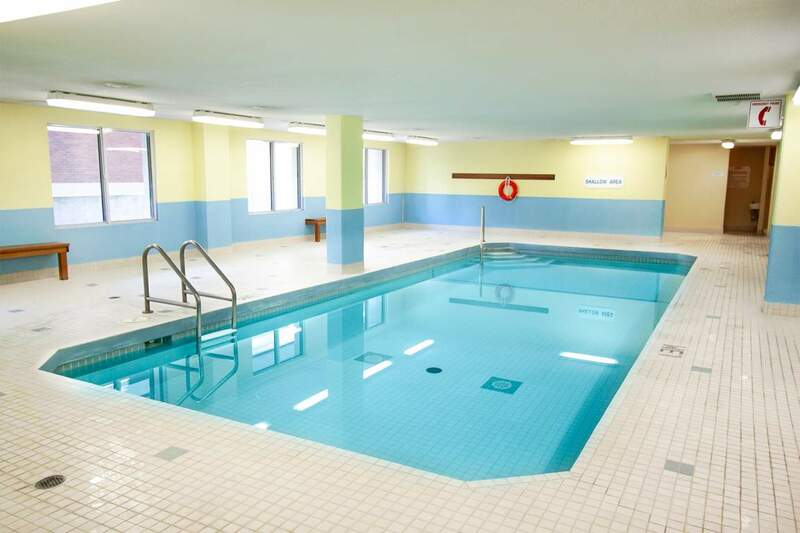 An indoor saltwater pool, hot tub, sauna, and fitness room are also available for residents' use.